I love to capture newborns in their first couple weeks of life. There is nothing sweeter or more breathtaking than new life. Evelyn’s session was no exception. She was so sleepy and she smiled at least a dozen times throughout her portrait session. She is one content and happy baby girl. 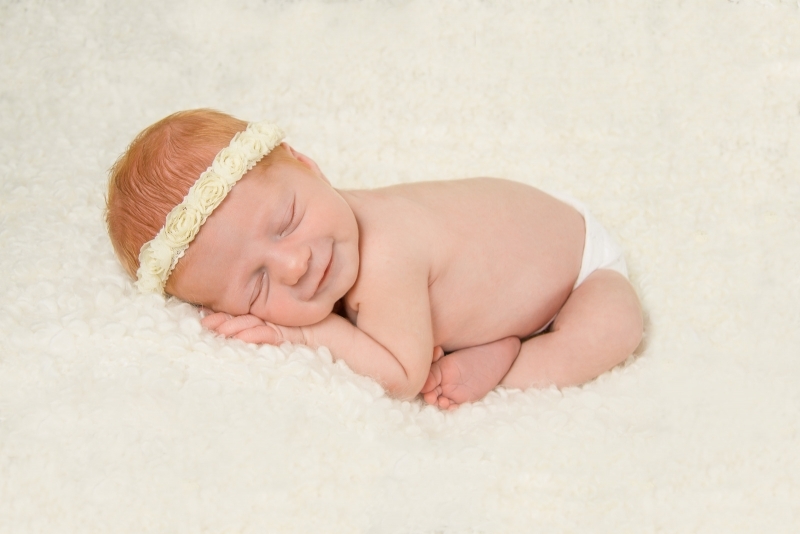 And who can resist a sweet newborn baby smile? Evelyn was full of them for her newborn photo session. Is there anything sweeter than a tiny newborn baby's wrinkles? This close up shows her tiny newborn features so well. I just adore her red hair that she got from her mommy! 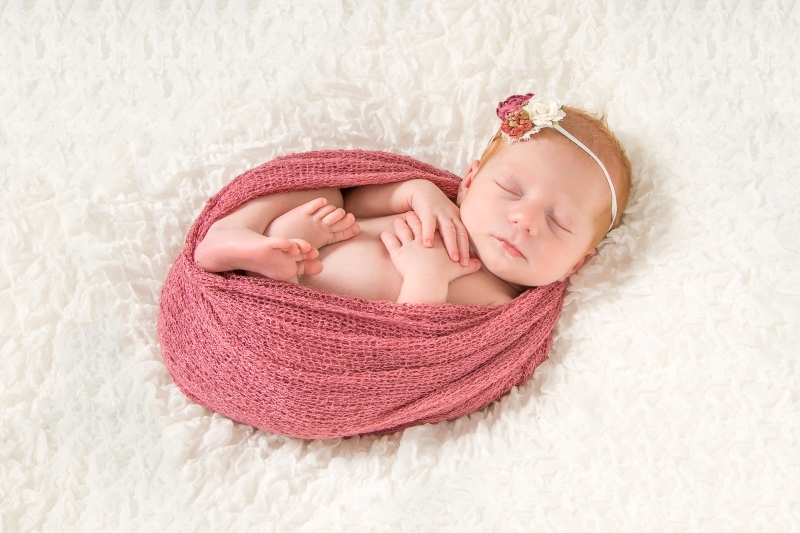 She just loved being all curled up and wrapped tight for her newborn photos. 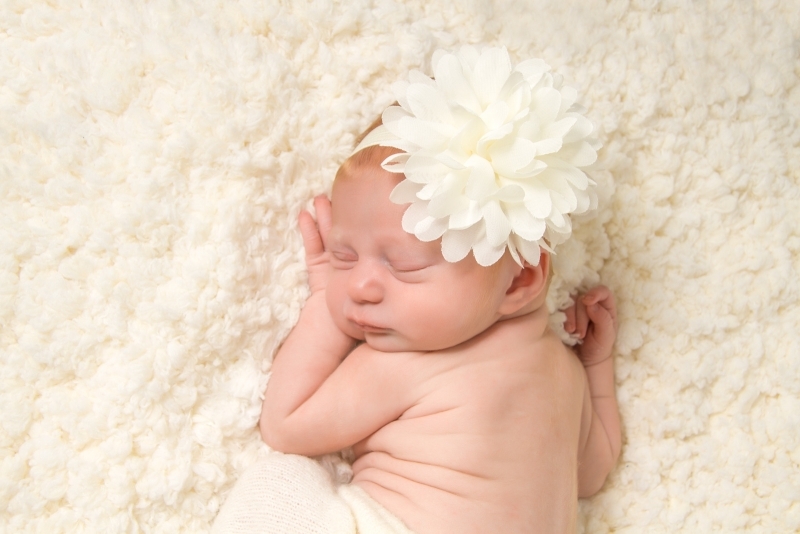 We hope you enjoy these professional infant portraits provided by Stargazer Photography. We offer Toledo newborn photos in the Toledo and Northwest Ohio Area. 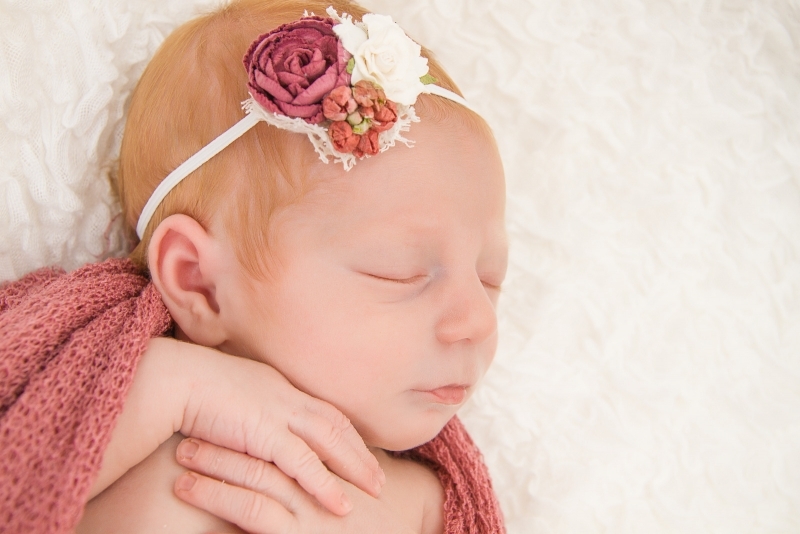 Stargazer Photography is not your ordinary newborn photographer. 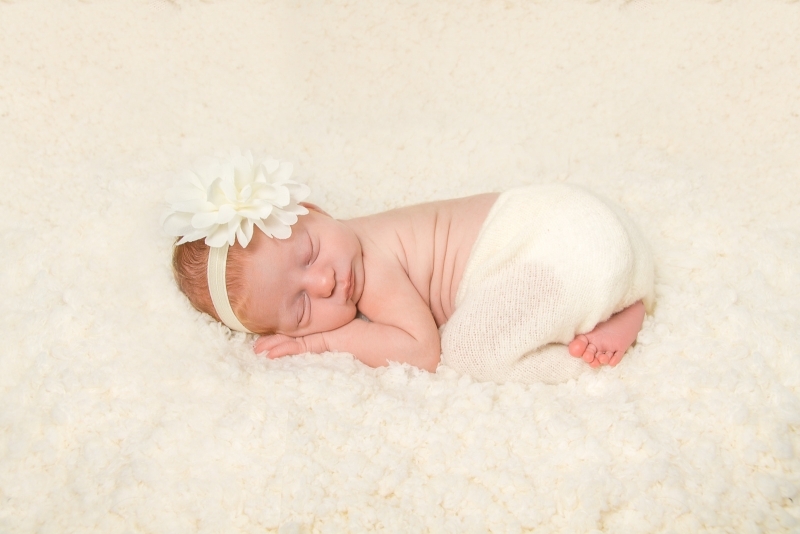 Each of our custom professional newborn sessions is treated with care and creativity not found with other studios. Your infant’s pictures are carefully and safely captured to offer one of a kind photography that is as beautiful as your newborn baby. This is Toledo newborn portraiture at its best. Stargazer Photography is an award-winning photography studio based in Toledo, Ohio. Offering newborn photos in and around Toledo and Northwest Ohio. For more information or to book your own custom infant portrait session call Jen at 419-376-7067.